Happy St. Patrick’s Day! 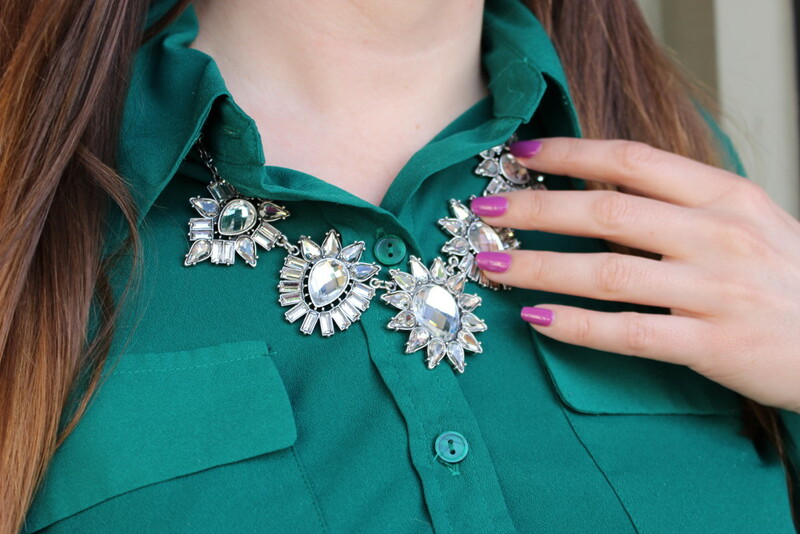 Today I have a little green and a little bling to share with you. 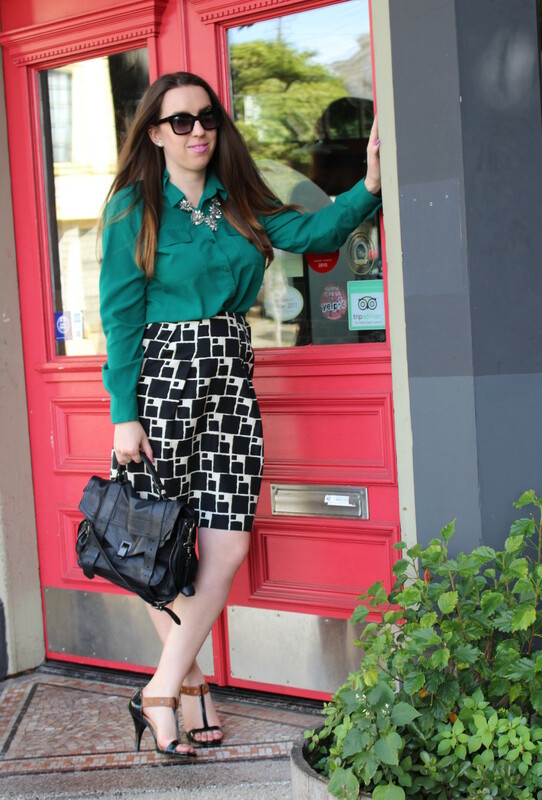 I’ve teamed up with Rocksbox on this OOTD to showcase some seriously awesome jewelry. Yes, it’s a subscription, but not your typical service. For $19 a month, you can score unlimited designer jewelry to loan and wear. And yes, you take a style quiz, but I was honestly floored with the stylist’s attention to detail in assembling my box. She understood my preference for classy but sparkly pieces, and my desire for a necklace-only shipment. If you absolutely love any of the pieces, you have the option to purchase them à la carte, which can admittedly be dangerous. If not, send the items back to queue up your next shipment! I was also delighted that there were some indie brands in the box, not just mainstream jewelry labels everyone else is wearing. Today’s necklace is from Perry Street and the stylist saw I bookmarked it a few weeks ago, so she made sure it was in my first box and planned out the other two pieces to match my preference. Now that is attentive service! 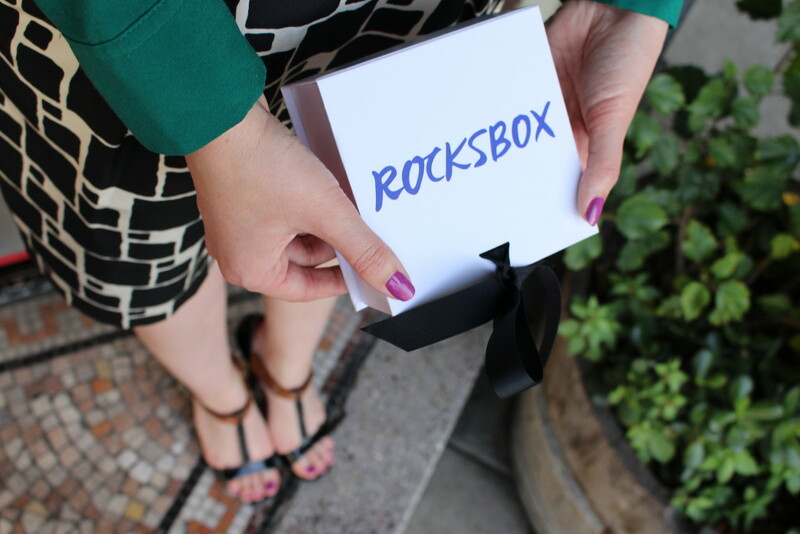 With that said, if you’re liking what you see, use my Rocksbox code omgbuymethisxoxo for your first month free! And yes, that skirt has pockets! WIN. Like this look? Please check out some of my others. I also featured this blouse in this look during my trip to Charleston. Thanks so much for reading. 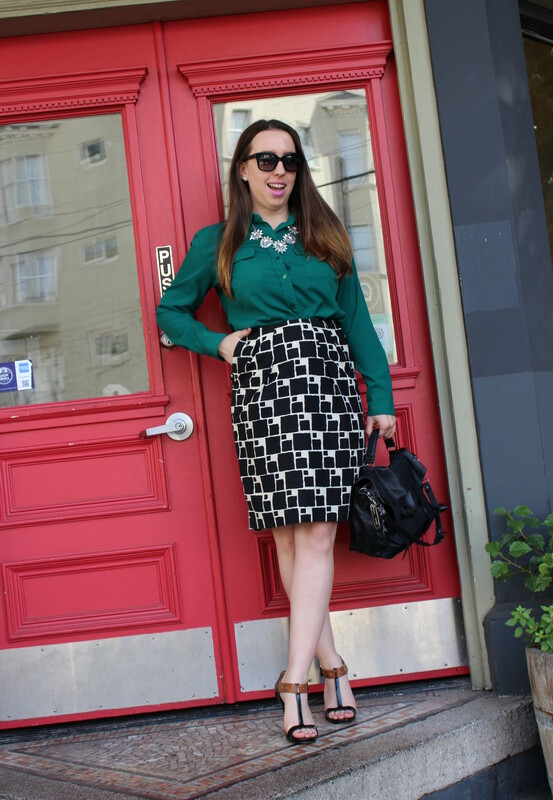 I love a good statement necklace- and digging this look from head to toe! Great print! Definitely love the pairing with dark green! That skirt is soooo cute! Love it, lady!